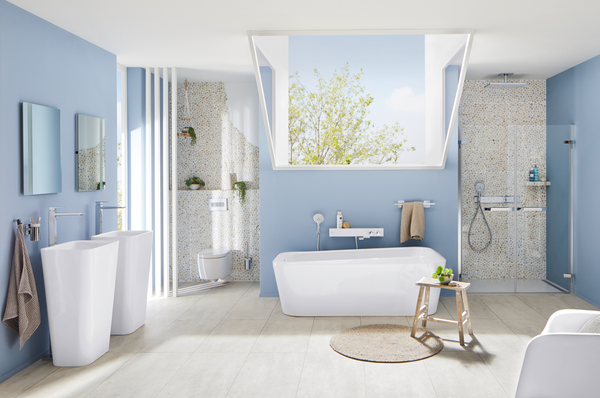 This dream bathroom is the perfect place to recharge, relax and while away the time. Flowing lines and lots of space to stretch out – figuratively and literally – making this room luxurious. An absolute shower highlight. 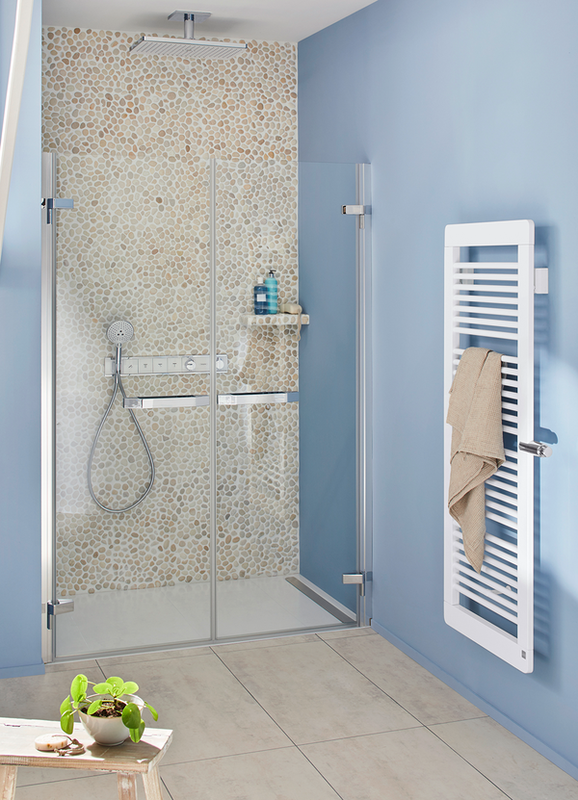 The NEXSYS shower surface system rings in the change from shower channel to channel shower. 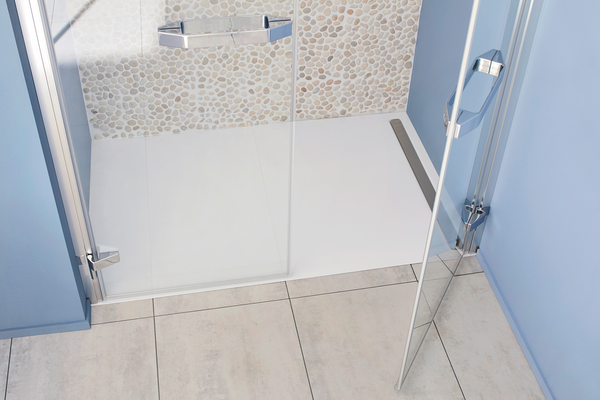 This is where all of the advantages of a seamless shower surface made of steel enamel come together with the design of a tiled shower area with channel. 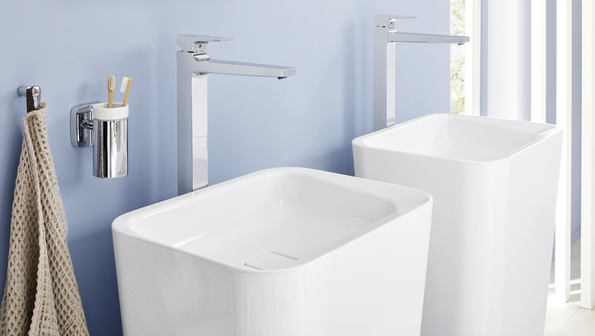 Eye-catching feature of the NEXSYS: the slender channel. The high-end designer cover of brushed stainless steel fits perfectly into the overall minimalist look. 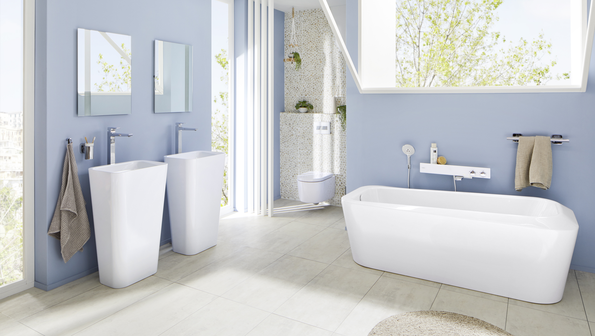 The MEISTERSTÜCK EMERSO bathtub was created by the famous designer, Arik Levy. 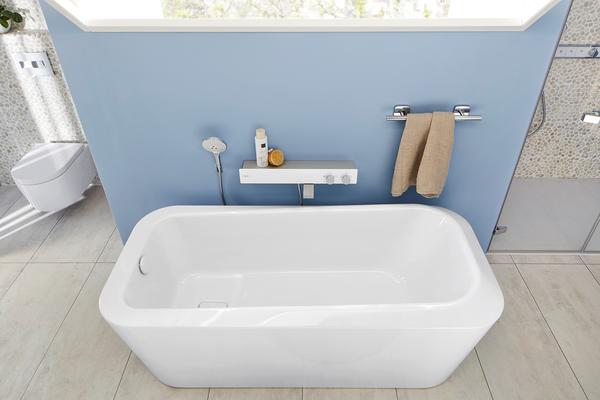 The rim of the bath curls in on itself, producing ultra-fluid lines. It’s like bathing in a work of art. MEISTERSTUCK from the hands of a master: Arik Levy has created a veritable bathroom sculpture with the MEISTERSTÜCK EMERSO washbasin. 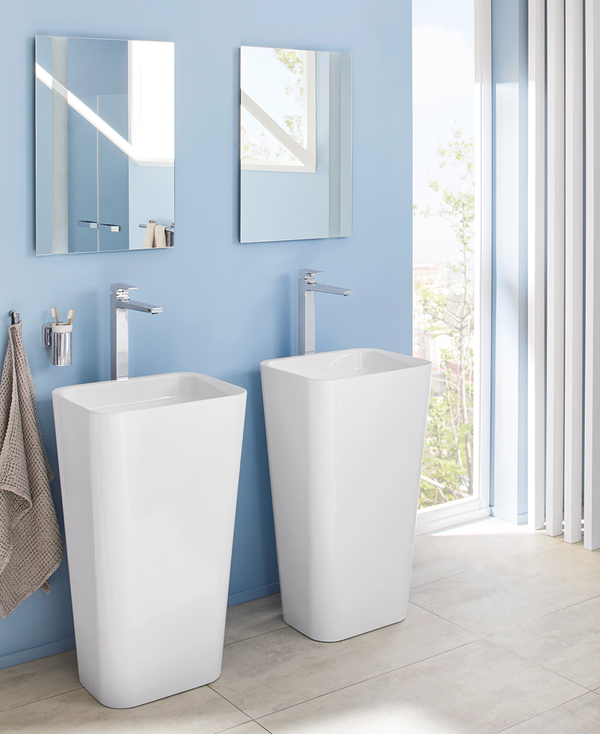 The washbasin is the exact counterpiece to the bathtub and together, they form a single, harmonious unit.